I’m a sucker for chocolate, especially around the holidays. Nothing makes me happier than seeing homemade chocolates on a holiday treat tray, no matter where I go. One of the easiest but tastiest holiday treats is definitely bark. Traditional almond bark, peppermint bark, mint chocolate bark, if it is bark, I’m going to love it. This collection of 20 of the best bark recipes around the web includes everything from the traditional to very unique. Seriously, you had me at bacon. And salted caramel. Oh, and bark. That sounds like a match made in heaven. I’m speechless. I didn’t even consider adding adding cake mix to bark. Genius! This combines two of my greatest loves: chocolate and peanut butter. Nom, nom. 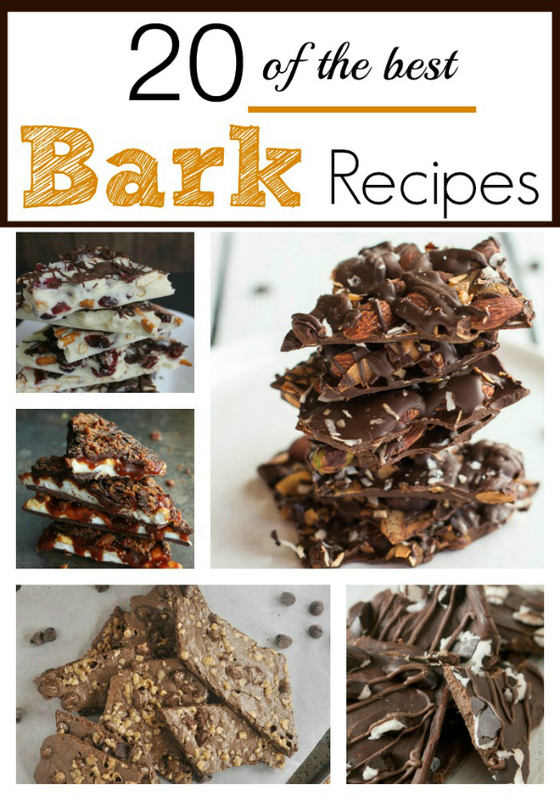 So go on, enjoy these bark recipes definitely designed to make you drool. I’m going to go make some bark because I’ve realized I have never blogged bark before. What is wrong with me?